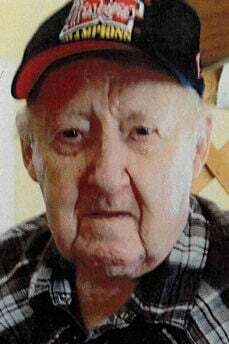 Tobias G. Fritzen, 102, formerly of Diller, died November 8, 2018. He was born June 5, 1916 at rural Filley. Funeral services: 10:30 a.m. Monday at American Lutheran Church of Filley. Burial Filley Cemetery of Filley. Memorials to the family's choice. Visitation at the Fox Funeral Home from 8:00 a.m. to 8:00 p.m. Saturday and Sunday with the family meeting and greeting friends and other relatives on Sunday from 4:00 p.m. to 6:00 p.m. www.foxfuneralhome.net Fox Funeral Home, Beatrice is in charge of the arrangements.